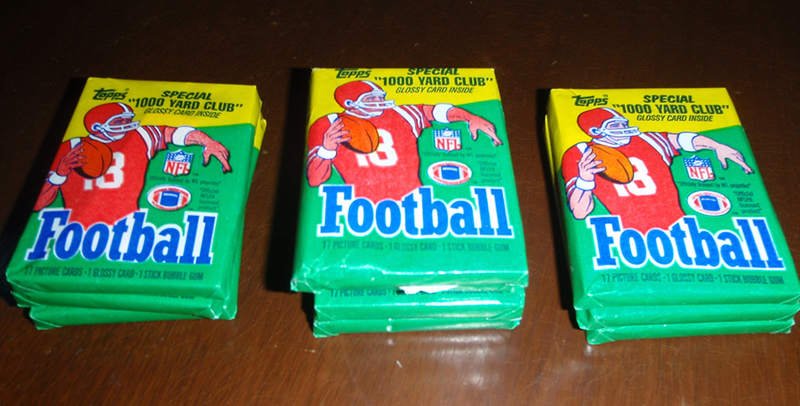 1983 Topps is one of the most underrated football sets of the 80s. It’s home to the Marcus Allen and the Mike Singletary rookie cards – both members of the Hall of Fame! Join me as I crack some packs, and let’s see what we can find! Join Tracy Hackler and I as we pop the top on some killer new Panini football products! Join me as I crack 1989 Score Football, looking for minty Barry Sanders rookies! We’re on the hunt for a pack-fresh Joe Montana rookie card! Oliver Tull of FourDayWeekend dropped by to open some 1982 Topps Football packs for @PackGeek ep #36! We goofed around a lot, and even pulled some big cards. Enjoy!